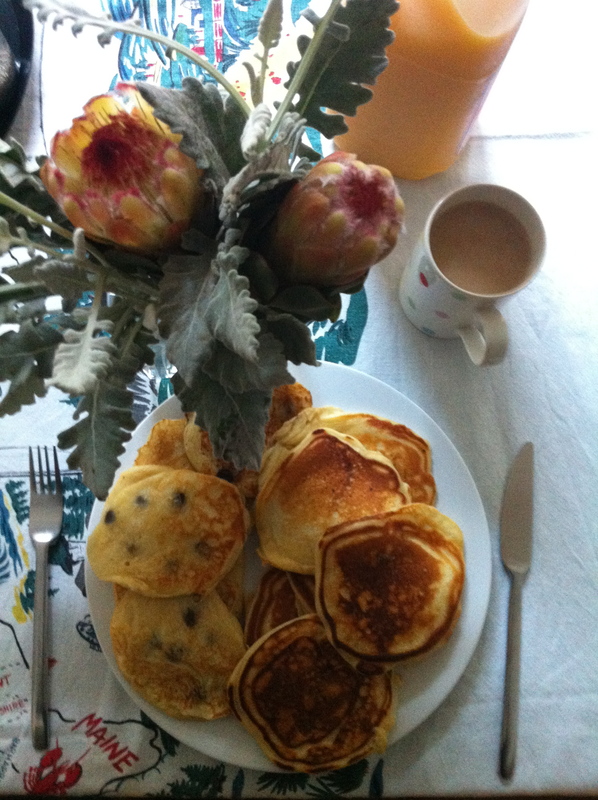 Buttermilk Pancakes | Izzy have you eaten? 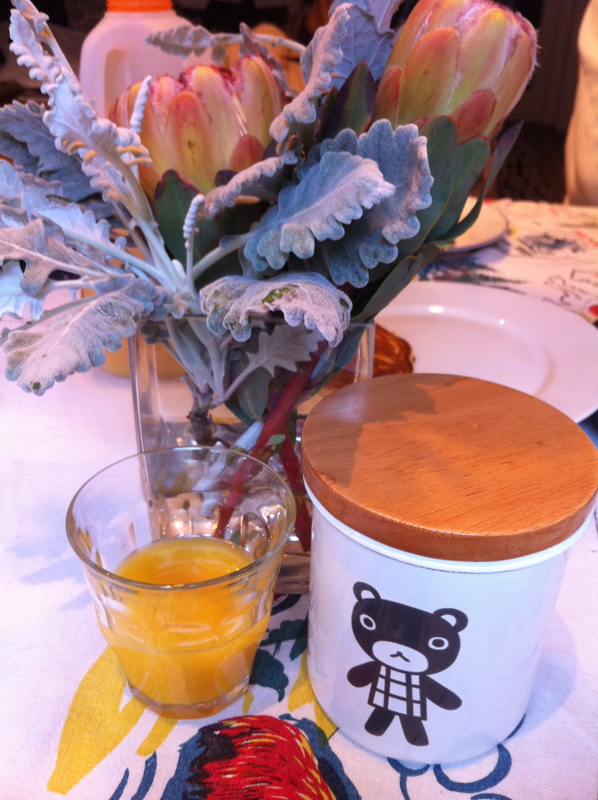 J and G were visiting Sydney overnight, and we lured them here to have breakfast on their way to the airport. 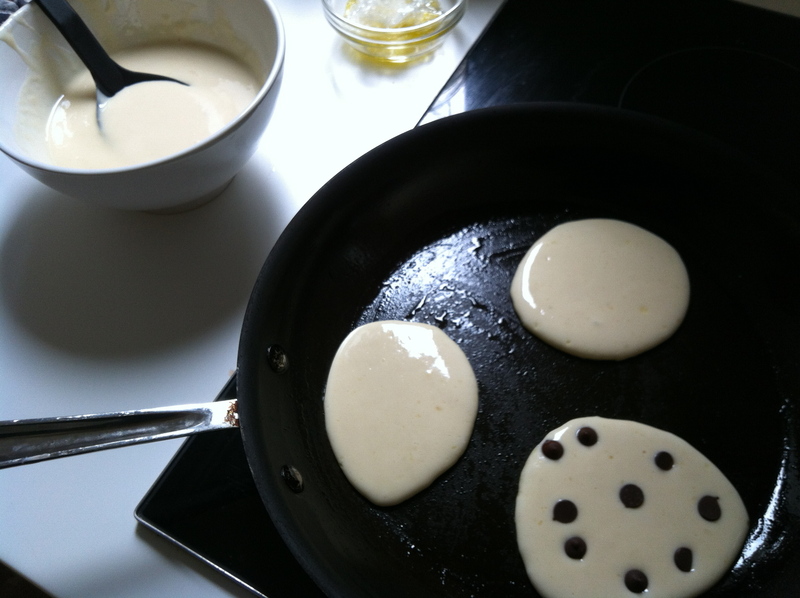 Both you and Little C were quite sure that we should cook them pancakes. After years of cooking ultra thin crepes which you ate as an after school snack with a squeeze of lemon and a sprinkle of sugar (rolled up), buttermilk pancakes are a more substantial but still light (and fluffy! ) step up from those. Now they seem to be the preferred option for you ladies, Little C sprinkling hers with chocolate chips in the cooking process: in my eyes, definitely an American influence. Last night was the opening of the 18th Sydney Biennale at the NSW Gallery. How exciting to be part of an art event TOGETHER as a family in Australia again! The significance of the evening was not lost on us four, and we savoured every moment, from the warm welcome we received and seeing lots of old friends, to dad’s first ‘official’ speech in his new role. There were enthusiastic cheers in the audience, and I clapped very hard at the end of his words. His women folk are all proud and excited. The exhibition, themed ‘All Our Relations’ is going to be well attended: so much to see in the three venues spread across this beautiful city. You two girls looked beautiful last night, but I know there were some sore feet at the end of the night. Lucky there was a dad to offer you an arm as we walked out of the building! Tired shoes at the end of the night. 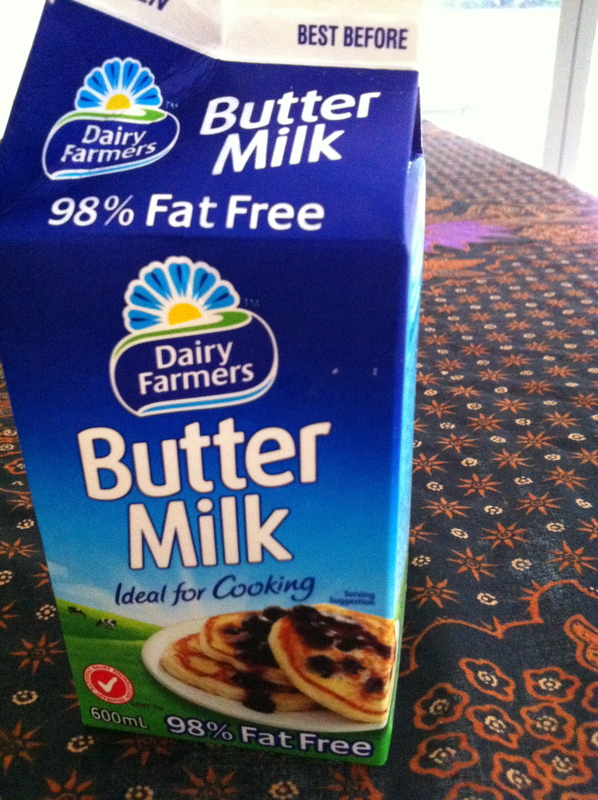 Whisk the buttermilk with the eggs, and butter/oil. 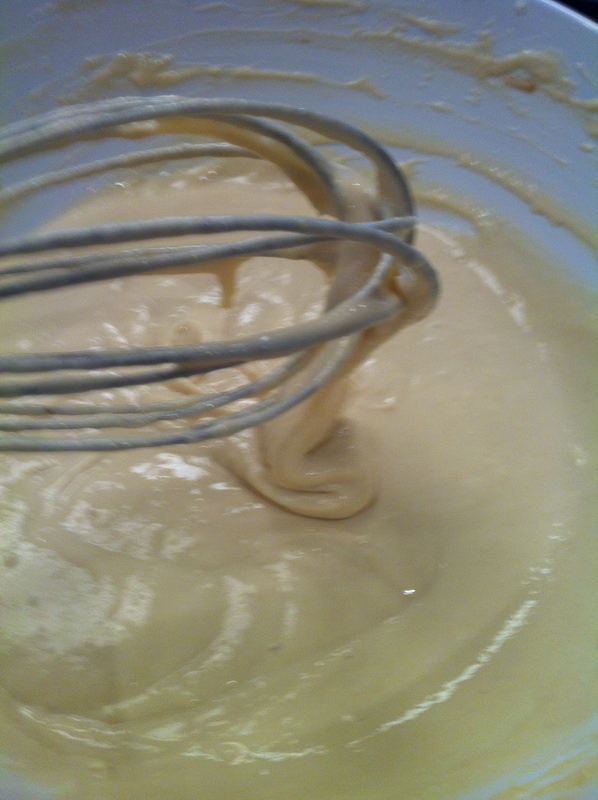 Add the dry ingredients to the egg mix gradually, a spoonful at a time, now mix together gently. Heat a shallow heavy-based pan and grease lightly. Keeping the heat on a high but even temperature, pour in spoonfuls of mixture into the pan, about a quarter cup at a time is what I prefer, but of course you can make them bigger. Turn the heat down to medium so the mixture cooks through. At this point, add some chocolate buds if desired. When bubbles appear on the mixture and the circles develop a cooked edge, flip them over with a flat spoon or butter knife. Cook slowly ( maybe a minute) until the pancakes appear golden. Eat with Maple Syrup or Nutella, and a side of crispy bacon and fruit!